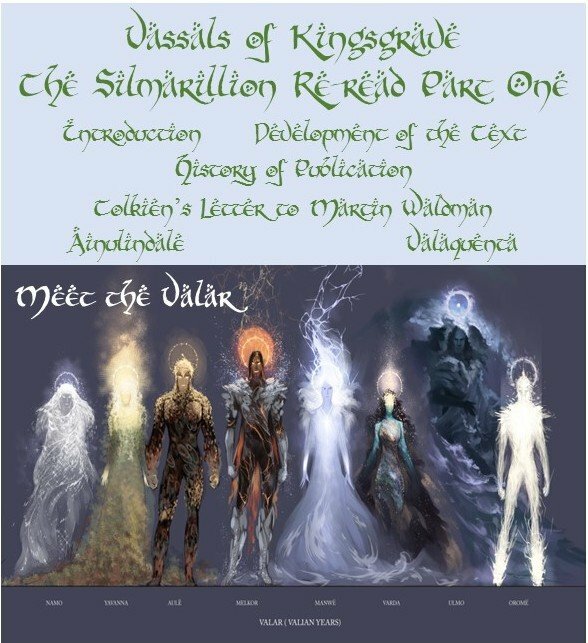 The Vassals of Kingsgrave kick off their Silmarillion Re-read series. Before discussing the book itself we break down the troubled history of the publication and the development of the text of what eventually became The Silmarillion as it was published in 1977, four years after the death of J.R.R. Tolkien. We also analyze the letter that Tolkien wrote in 1950 to a friend in which he explained his reasoning behind writing The Silmarillion and what he hoped it would mean to England. Join hosts Greg, Brett, Shane, Alix & Matt as they try to get into the head of Eru Iluvatar and his musical selections. Put on your finest raiment and hearken to the tales of the Music of the Ainur and the Valaquenta. Image from the Melkor Was Here Tumblr from March 12, 2014. This entry was posted in Books & Novellas, Podcast, The Lord of the Rings and tagged Aiwendil, claudiusthefool, easttexasdirewolf, Varley, White Raven. Bookmark the permalink.